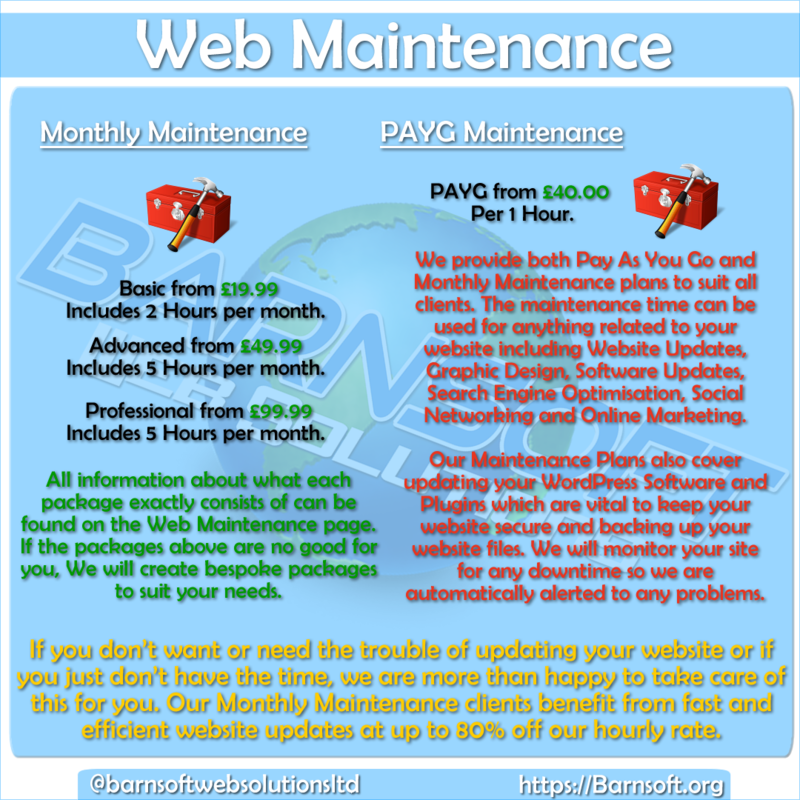 We are a Cardiff, UK based direct provider of affordable, reliable, secure, Web Hosting, Design, Maintenance, Server Security and Management Services. We provide all the tools and guidance necessary to all our clients, novice or pro, to be able to thrive on the web. We have a wealth of experience in all things to do with web and technology, over the past 15 years of being in the industry we have learned and developed not just great web sites, but multi-platform games & apps as well as good relationships with other great companies. 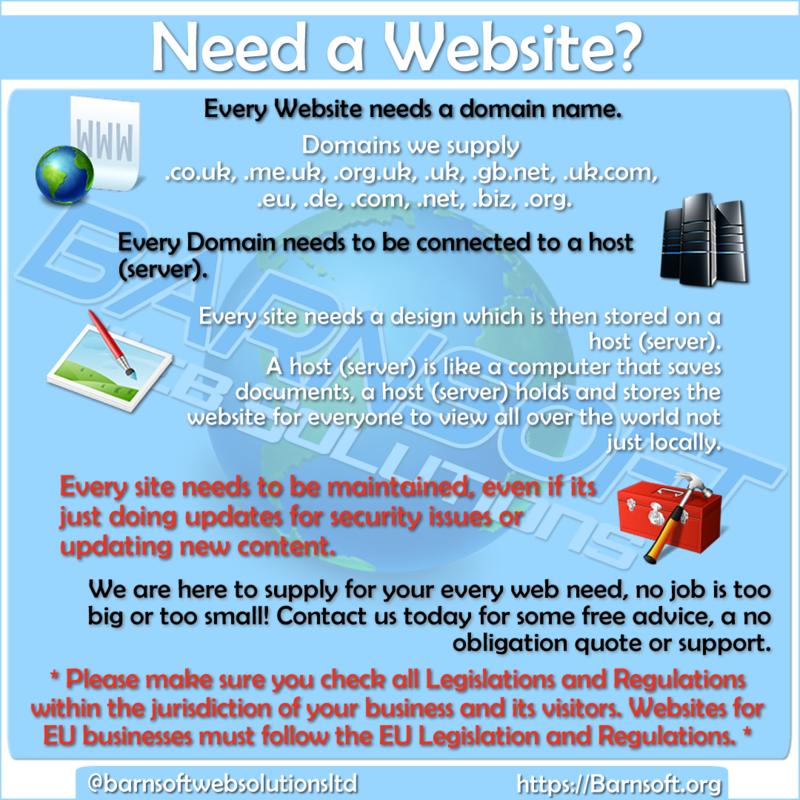 Barnsoft Web Solutions Ltd can make your own personal dream or your businesses dream of a great website, with great up-time and support, become a reality and give you or your business the opportunity needed to grow at an affordable price. call us free on 0800 000 000 or checkout our Frequently Asked Questions. 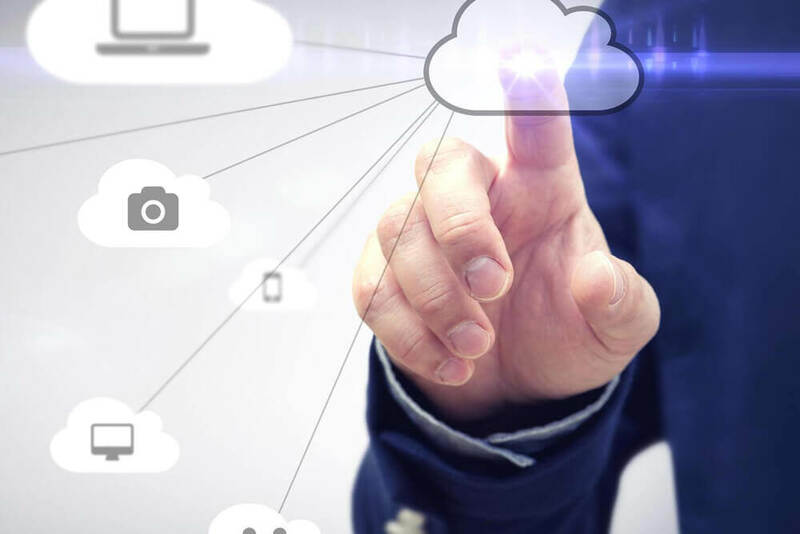 Our Shared Server is hosted in a CloudLinux Environment giving more flexibility and optimum utilization of its resources, it is cPanel Powered with Auto-Instant Installer Softaculous, Security and Protection offered with CloudFlare. Our Node uptime is 99.9%. Less than £2.50 a month just £29.99 for the year! Our purpose-built WordPress server makes your website smarter, faster and more efficient making it work better for businesses, individuals and organisations. Choose one of our great packages contact us for a bespoke package to suit your needs. 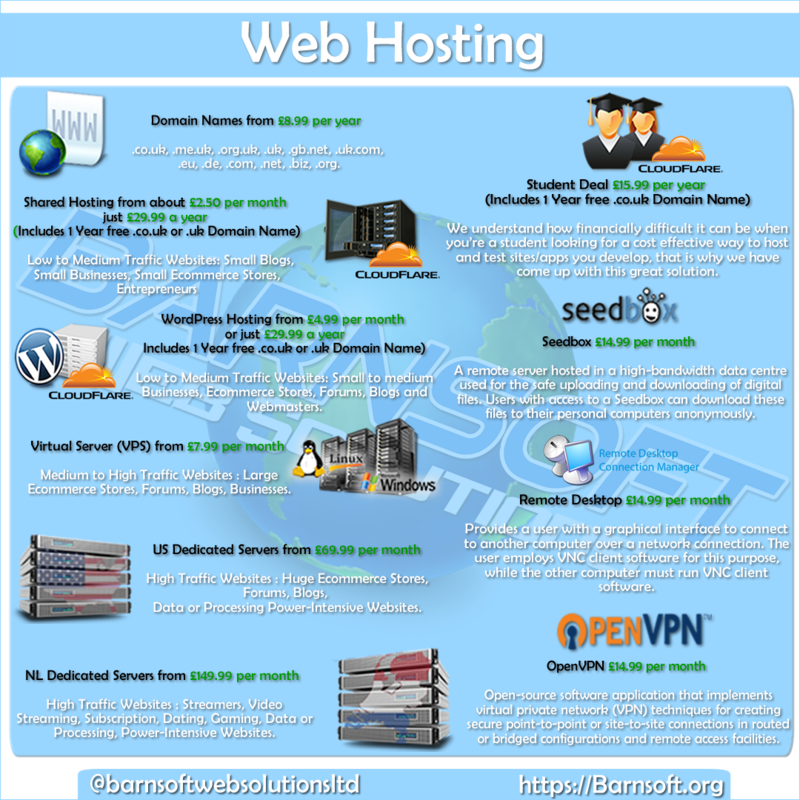 VPS Hosting gives you the flexibility and power of a dedicated server without the high price tag. We use only high quality, high performing servers! 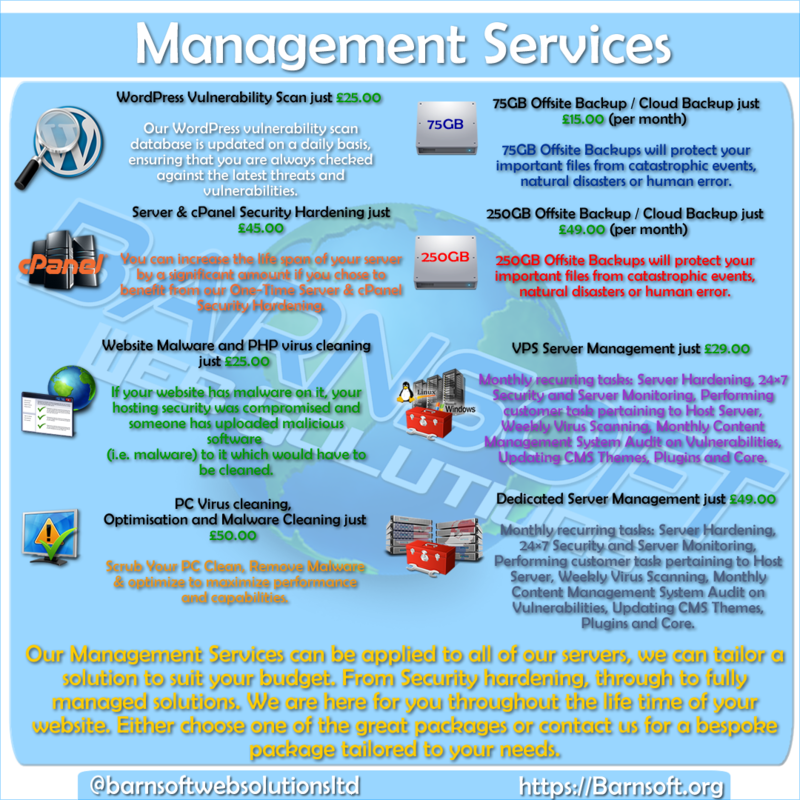 Choose between our Linux or Windows packages. We take all safety measures to minimize downtime. All of our services are guaranteed with a 99.9% uptime guarantee, as we know that a minute’s downtime is a huge loss. We offer email support 24/7 and free telephone support 365 days a year! We’re more than happy to help with any questions. All of our services are offered with 24/7 dedicated UK Support. 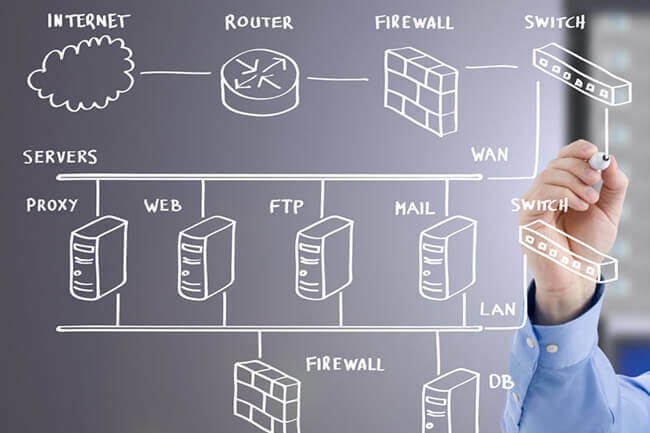 We host our servers in carrier neutral datacenter’s and have multiple point’s of presence which offer the lowest latency and quicker loading time’s. We provide daily, off-site and on-site backups for our Shared Hosting service to keep your data safe from hardware failure and other disaster. 30 Day Money Back Guarantee on certain products/services check our terms of service. Our servers run the latest in security software and are monitored 24/7. We provide CloudFlare protection for one website with all our Shared, WordPress and Student accounts. We provide one years free .co.uk or .uk domain with all our Shared, WordPress and Student accounts. We are a Cardiff, UK based direct provider of affordable, reliable, secure, Web Hosting, Design, Maintenance, Server Security and Management Services. We are currently undertaking work on all our systems to create a better user experience. We will announce the date upon which we will begin to trade in the next few weeks. 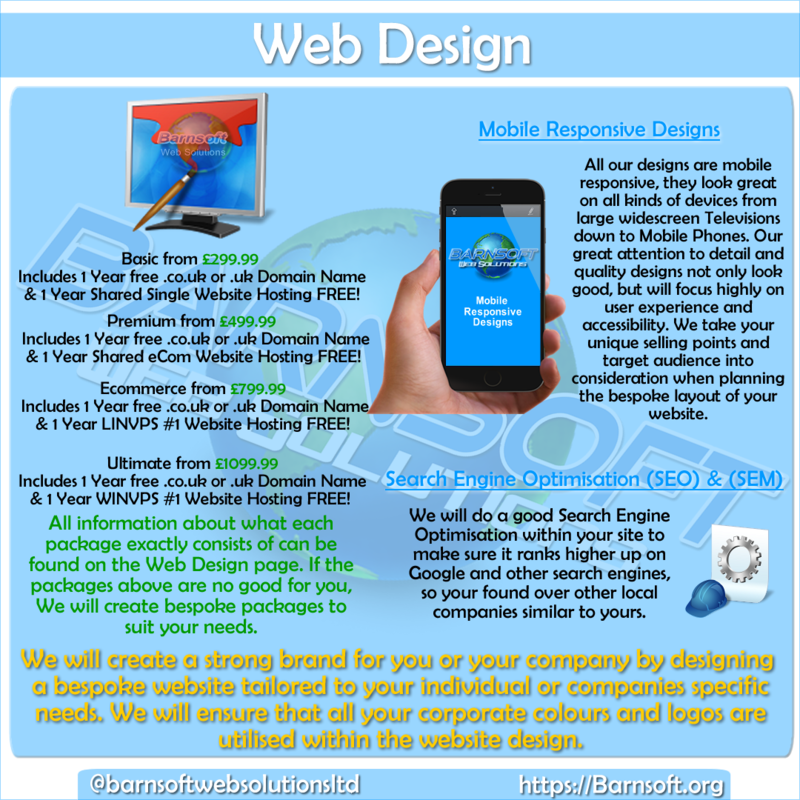 Copyright 2019 © Barnsoft Web Solutions Ltd.